If you have horses in your care that are not owned by you, then you need to have Care, Custody, and Control liability horse insurance. Whether you are training, boarding, caring for, or handling these horses, you need to have liability insurance that can cover these animals if something happens while the horses are in your care. You can be held responsible by the horse’s owner for veterinary and surgical expenses. It is possible you may also require legal defense if you are sued. This particular type of coverage insures you against financial loss if a horse in your care becomes sick, injured, or dies and the owner/insurance company tries to hold you accountable. This horse insurance policy provides legal defense, whether the case has merit or not. Commercial General Liability Insurance is your premises and business operations coverage. It provides bodily injury and property damage coverage for third parties; customers, clients, guests, and those who may trespass on your property, who are not you and your family members, volunteers, or employees. 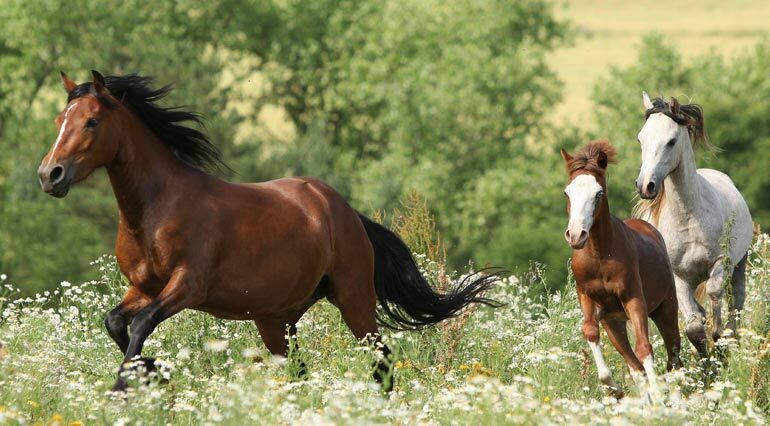 Care, Custody & Control Liability Insurance is a secondary type of liability insurance that provides coverage for the loss of a horse that is in your care, custody or control, but not owned or leased by you. Both coverages serve a different purpose and are important if you have a care, custody and control exposure. For example, if a horse escapes from its enclosure, gets into the road, and is hit by a car, your GL policy would respond for the injuries to the people in the car (bodily injury) and on the damages to the car (property damage), while Care, Custody & Control Insurance would respond on the loss of the horse. It is important to know that Care, Custody & Control Liability Insurance is not included in a Commercial General Liability Policy [CGL] unless requested by you and added by endorsement. It is also important to know that some companies do not offer this type of insurance to horse operations. And some only sell it as a separate policy, and you may not even be asked about purchasing it unless you request it. Ark Agency ’s applications ask about care, custody and control and we are able to include it with your GL Policy. If you need this important coverage, carefully review all the insurance quotes you receive to determine if care, custody & control coverage is included or not. When completing Ark’s application, be sure to ask for this additional coverage by completing the Care, Custody & Control portion of the application and choosing the limits that are right for you. You will have a choice of limits that are based upon the average and maximum values of a horse in your care (but not owned by you), and the combined total value of all the horses in your care at one time. The latter would be your potential maximum loss, for example, as in the event of a barn fire, smoke damage, or building collapse. If at one time, you re for ten non-owned horses at a maximum value of $10,000 per horse, the limits you might choose would be $10,000 maximum value per horse/$100,000 aggregate (total possible loss that might be paid). We also offer Care, Custody & Control Insurance as a separate policy. Keep in mind that Care, Custody & Control Insurance does not take the place of the horse owner carrying their own life and major medical insurance policy on their horse. Your negligence must be a factor before an owner is paid for the loss of a horse. It is important to advise horse owners that because they have the financial investment in their horses, it is up to them to insure their financial loss should the horse become, sick, injured or die. 1. A horse you have in training or are showing is injured while you are working it. 2. While hauling a boarder’s horse to a show, the trailer unhooks and the horse is injured. 3. A fence is damaged or barrier gates are left open at your farm and a boarded horse gets into the road and is hit by a car. 4. A boarded horse gets injured or dies while in your care or on your property because of an unsafe condition of your fence, your pastures, shelters, toxic plants, or a problem of the barn or stall that you should have known about and failed to correct. When you are working with horses, you should have a horse insurance policy tailored to cover your exact needs. Whether you need horse trainer insurance or horse medical insurance for horses in your care, Ark Agency can help protect your business. Reach out to our team by calling 1-800-328-8894 to receive a quote for horse insurance.